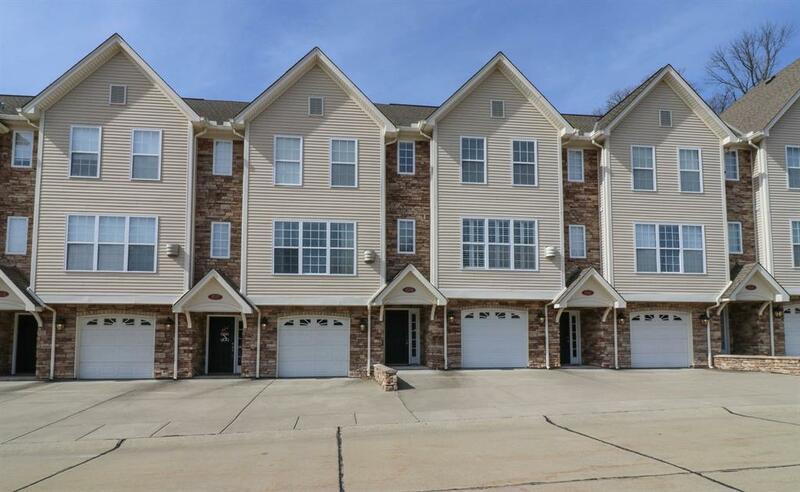 All new interior compliments this two bedroom townhome near Devou Park & just minutes to downtown. Popular features include nine foot ceilings, crown moldings, granite counter tops, upscale lighting & newer stainless appliances. Vaulted ceilings accent the owner's suite. 2.5 baths & 2nd floor laundry. Gleaming hardwood floors highlight the main level with custom plantation shutters & gas fireplace. 3 finished levels & 1 car garage with newer insulated door.